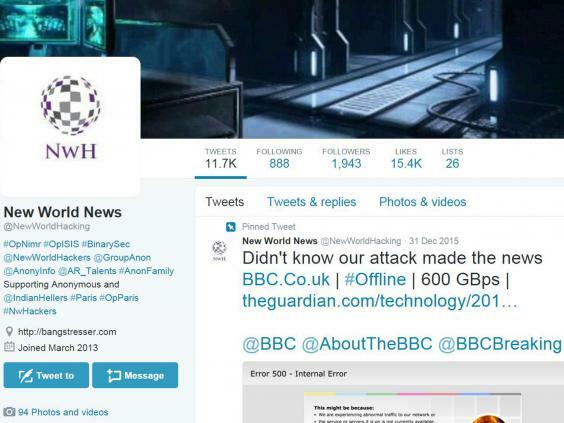 “New World Hacking” finally claimed responsibility two days into 2016, following the attack on the BBC website which was a relatively common Distributed Denial of Service (“DDoS”) cyber attack. The high profile targeting ensured that the BBC’s news service, iPlayer online TV and radio services were down for several hours on 31st December 2015, resulting in an error message being shown instead of the BBC homepage. A DDos attack is where a website becomes overloaded with a surge of traffic it cannot handle, with result that the website’s servers stop responding to requests. The targeting of the BBC was purportedly friendly fire! The hactivists claim to concentrate on taking down websites supporting ISIS (Daesh) or sites affiliated to the terror group – and this exercise against the BBC was just to test the capabilities of their machines, because of the BBC’s high capacity to respond to traffic. No doubt this made the BBC feel very comforted. Amicus ITS security specialist Mark Heather added: “This has been described as a DDoS attack but it appears to have been designed as a scoping exercise; not to attack the BBC per se, but to give the hactivists more insight as to their efficacy. Unfortunately, there is little that companies can generally do to thwart this type of attack. But threat management can be deployed as part of a wider cyber security protection strategy”. Honeypots can be used to check content before anything is passed through the firewall, as one of an organisation’s strategic steps to beefing up their data security. As Mark comments: “Much like the weather, you cannot stop rain from happening, but you can wrap yourself up warm and get your umbrella out knowing what the forecast is likely to be”. Amicus ITS Blog Blog at WordPress.com.